Can your fingers go the distance? 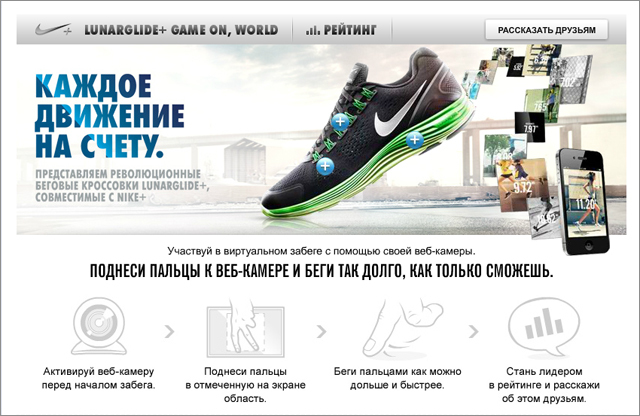 You probably should warm up with a few deep-knuckle lunges before you slip your fingers into a virtual pair of Nike Lunarglide+ running shoes on the Nike Running Russia Facebook page. The app uses your webcam to capture the movement of your fingers and translate it into the forward movement of the shoes. It’s not easy, after a half dozen attempts I only managed a paltry .28 km in 45 seconds. The leading runner so far somehow managed to ‘finger run’ an incredible 39.38 km in just over an hour. The app was created by Mindshare Russia. My mother would frequently warn me that if I made a weird face it might just freeze that way. Decades have past and many odd and twisted faces later it thankfully hasn’t frozen up. 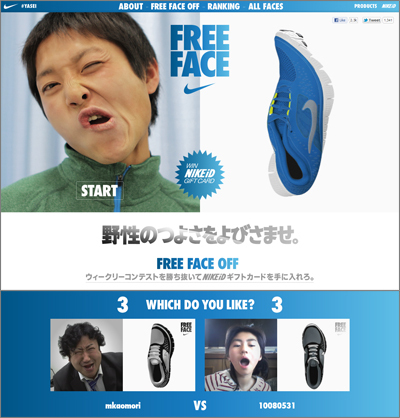 Nike Japan has launched the ‘Free Face‘ website and is inviting people to come by and contort their faces for fun and profit. The site uses facial and expression recognition via your webcam to capture an image or your face at both it’s relaxed and most twisted state. 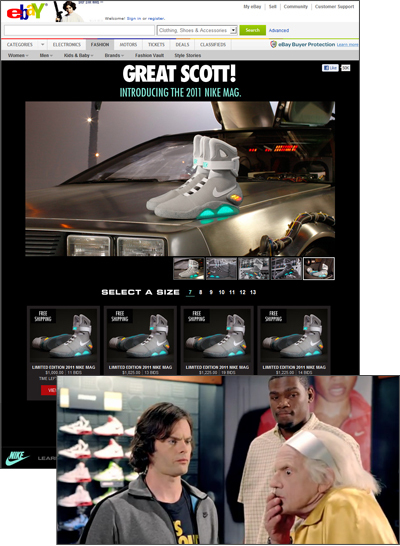 The site promotes the super-flexible sole of the Nike Free shoe. The more you can twist and contort your face the more twisted a 3-D image of the shoe ends up looking. 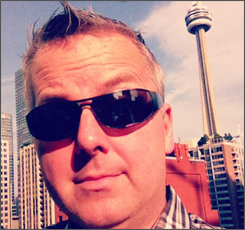 Once your image is captured it then competes head-to-head against others for votes. The face with the most votes each week ends up winning a NikeiD gift card. Contestants must be living in Japan. The campaign was created by Wieden + Kennedy Tokyo. Who couldn’t love a song with lyrics like “Love is a speeding comet. I’m in a pool of my own vomit”? 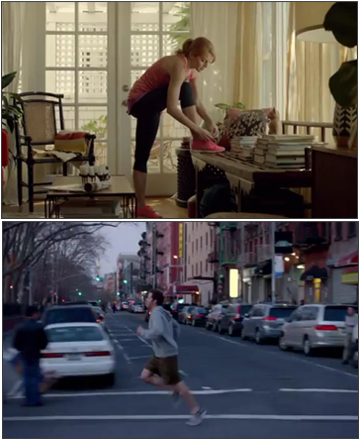 Nike’s new promo clip for their Free Run+ shoes features a couple who live on opposite sides of the country decide to run to meet each other while singing the appropriately titled song, ‘I Will Run To You’. The woman in the video fares a whole lot better than the guy, who only makes it a little over a mile before collapsing at the Washington Square Arch (yes, I used Google Maps to measure the distance from 78A Forsyth Street to the arch). 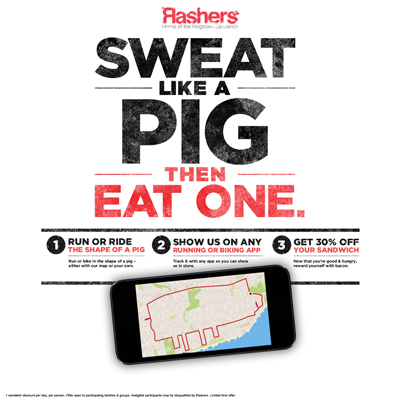 The ad is inspired by the thought that if you are a strong enough runner, you can sing while you run. 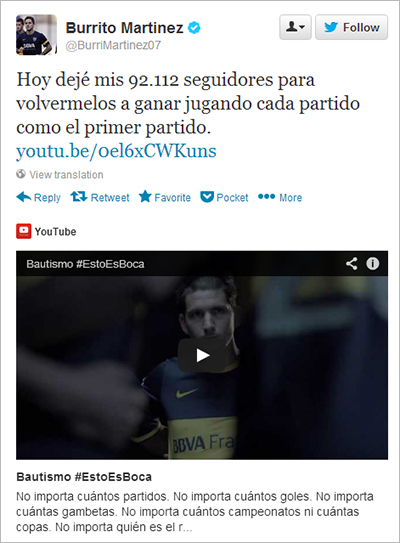 With that in mind Nike will be releasing a special ‘Karaoke Mix’ next week that includes the song in the video. 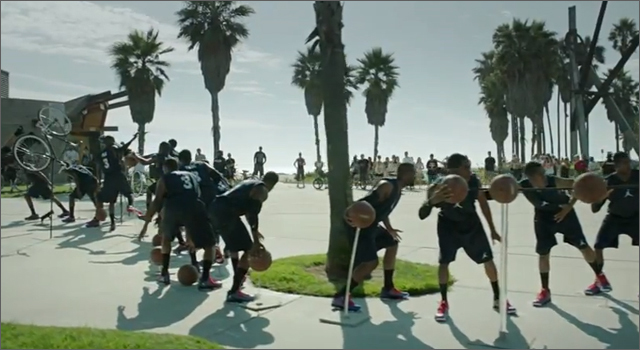 The spot was created by Nike’s agency W+K Portland, and directed by Rattling Stick’s Ringan Ledwidge.